The neighborhood community center has a Junior Olympic-size lap pool, a children’s splash pool complete with water features, playground, kitchen facilities, meeting space and a barbeque/grill area all overlooking the Rocky Mountain’s front range. The fee to rent the clubhouse is $25/hour (minimum of 3 hours) with a deposit of $250. We need a two-week notice and only rent to residents of Wheatlands Metropolitan District. 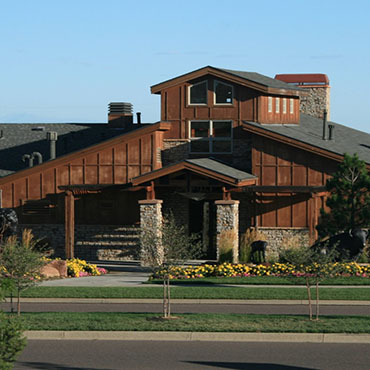 The clubhouse may be reserved for no more than 2 weekend days (Friday – Sunday) per month per resident. Please make checks payable to YMCA. Signup is on a first come, space available basis no more than 6 months in advance. Take a look inside the clubhouse.